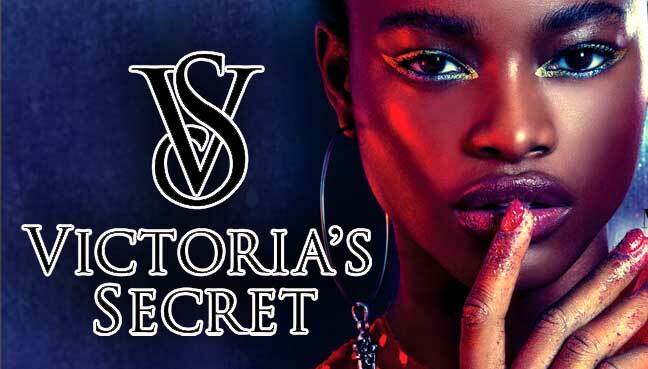 More than 50 top models will soon be jetting off to Shanghai, China, for the eagerly awaited Victoria’s Secret Fashion Show, broadcast on US TV network CBS, November 28. Seductive lingerie, spectacular stage attire and the traditional angel wings await some of the world’s most beautiful women for a fashion show that oozes glamour. Nigerian model Mayowa Nicholas, whose career has blasted off in a big way, has been picked for the first time to star in this major fashion show. Here’s some background on the rising runway star. With her captivating eyes, Mayowa Nicholas was one of the winners of the prestigious Elite Model Look modeling competition in 2014, along with another now renowned model, Greta Varlese. A veritable springboard, the competition got Mayowa Nicholas out there on the scene, catching the eye of heavyweight designers from 2014. She took to the runway just one year later for some of the most prestigious luxury labels (Schiaparelli, La Perla, Balmain). While Mayowa Nicholas has already made her name on the world’s fashion catwalks and in advertising campaigns for the most prestigious brands, she doesn’t have a huge social media presence compared to other renowned models. As well as perhaps not being well known enough to the public at large, the model only has an Instagram (@mayowanicholas) account — which is now private — with around 48,600 followers. She is also present on Facebook, but her page doesn’t have official status. Still, the model is more in demand on the runway than many of her counterparts with droves of online followers. For the spring/summer 2018 season — which still isn’t over — Mayowa Nicholas is one of the top 15 models in terms of runways walked in New York, London, Milan and Paris. The 1.8-meter (5’9) model notched up 34 shows, including a closing appearance for Esteban Cortazar. This season alone, Mayowa Nicholas has walked for Tom Ford, Michael Kors, Jeremy Scott, Fenty Puma by Rihanna, Topshop Unique, Versace, Moschino, Dolce & Gabbana, Nina Ricci, Miu Miu and John Galliano. Mayowa Nicholas is also the first Nigerian model to star in campaigns for Dolce & Gabbana and Calvin Klein. Mayowa Nicholas will be starting a new chapter in her career with the 2017 Victoria’s Secret Fashion when she walks for the lingerie brand for the first time at the end of November. The model will star alongside the brand’s experienced Angels — like Alessandra Ambrosio, Adriana Lima, Lily Aldridge and Jasmine Tookes — which she described as a “huge dream come true” on social media after being announced on the line-up.